We book the charter flights from Anchorage with TransNorthern Aviation (www.transnorthern.com), well known for safety, reliability and high standards in air transportation. You will enjoy a beautiful scenic flight over Prince William Sound and surrounding mountains in a fabulous Super DC-3 aircraft. The firm, sandy beach next to the Tsiu River provides a perfect landing strip for the plane, and an exciting finale after the festive atmosphere of the flight. This is truly a bush Alaska experience! The normal fee for round trip service to the lodge from Anchorage is $650 per person, but this amount is subject to change according to fuel prices and logistics due to weather. 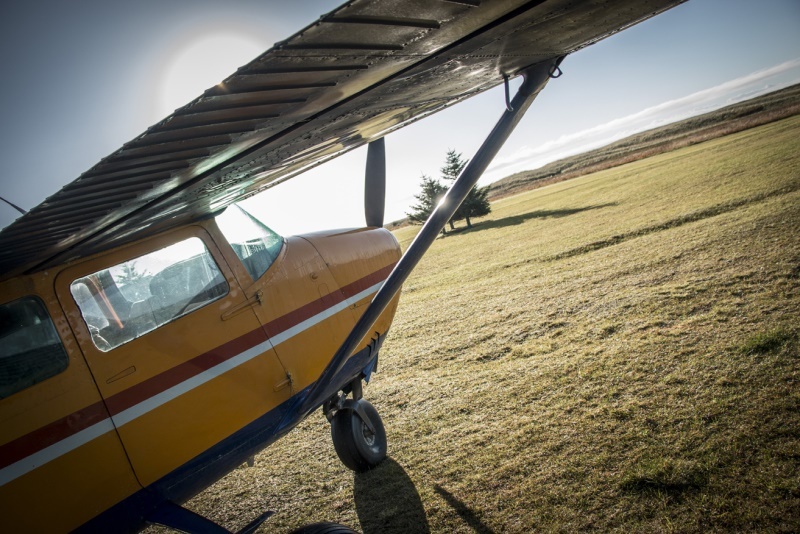 Air charter fees are not included in our expedition price. 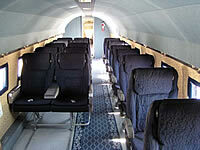 We will invoice you for the charter flight and take care of the reservation and details for you. While you are at the lodge, our Cessna 206 aircraft is on site in case of emergencies. This gives you an added degree of safety in this beautiful remote wilderness setting.